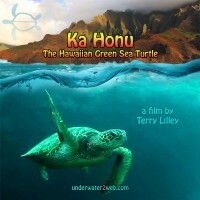 Under the Surf (Surf Movie) What makes a wave hollow? What makes a long continuous surf break? Why are some of our favorite surf spots turning to mush? Terry Lilley answers these questions and more in his new video, Under the Surf (Surf Movie). Whale Sharks of Luzon A short movie about one of the largest fish in our oceans, taken in the Philippines. Today many of our turtles are growing tumors on their faces and in their throats, causing starvation and eventual death. This outbreak coincides with the extremely rapid bacterial infection of Kauai’s reefs.